The Space Physics Group at the University of Newcastle is the leading research centre in Australia for studying the near-Earth space environment - the magnetosphere. Understanding this region is immensely important as communications and other space technology operates in the often hostile near-Earth space. 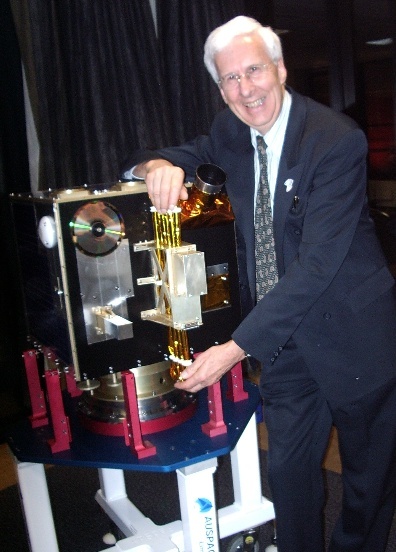 Prof Fraser is the Director of the Centre for Space Physics . Research interests have been concentrated in the fields of magnetospheric physics and waves in space plasmas with an emphasis on ultra-low frequency (ULF) waves, often referred to as geomagnetic pulsations. Over the last five years research has been concentrated in specific areas, ULF wave studies at high latitudes involving diagnostics of the last closed field lines and the open-closed boundary in the dayside cusp region and at low and equatorial latitudes including application to diagnostics of the magnetospheric and ionospheric plasmas. These studies provide important information on the dynamics of high and low latitude boundary regions and are potentially important input parameters for space weather modelling. Spacecraft studies have been mainly concerned with electromagnetic ion cyclotron waves in the middle magnetosphere using CRRES electric and magnetic field data to determine EMIC wave and propagation characteristics and the magnetotail which, for the first time, studied PSBL EMIC waves. High latitude imaging riometer and optical imaging observations have been used to study the dynamics of the cusp and polar cap regions. About 30% of research time over the last four years has been devoted to developing the NewMag fluxgate magnetometer payload on the Australian microsatellite FedSat. FedSat , Australia 's first satellite in 30 years, was successfully launched in December 2002 and the magnetometer has been gathering limited data since January 2003. Over the last five years collaborative research has been primarily with C. T. Russell at UCLA on developing the NewMag magnetometer payload for FedSat. Other collaborators include J. C. Samson (Alberta) and K. Yumoto (Kyushu, Japan) working on ULF wave modelling and R. M. Thorne (UCLA) and R. J. Horne (BAS-UK) working on electron acceleration mechanisms using CRRES data.